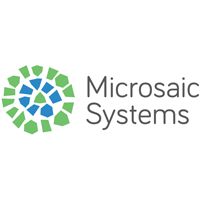 Stock in Microsaic Systems PLC with company EPIC: LON:MSYS has climbed 5.56% or 0.1 points during today’s session so far. Traders have remained positive while the stock has been in play. The period high was 1.9 while the low for the session was 1.72. The total volume of shares exchanged so far has reached 146,107 whilst the average number of shares exchanged is 884,523. 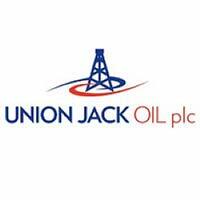 A 52 week share price high is 4.64 equating to 2.84 points in difference to the previous days close of business and a 52 week low sitting at 0.9 a difference of some 0.9 points. Microsaic Systems PLC now has a 20 SMA of 1.61 and also a 50 day moving average of 1.64. This puts the market capitalisation now at £11.15m at the time of this report. Share price is traded in GBX. Mcap is measured in GBP. This article was written with the last trade for Microsaic Systems PLC being recorded at Thursday, September 13, 2018 at 11:35:40 AM GMT with the stock price trading at 1.9 GBX. Shares in HSBC Holdings plc with ticker code: LON:HSBA has climbed 1.09% or 7.1 points during the course of today’s session so far. Traders have remained optimistic during the session. The high for the period has reached 661.2 dipping to 653.6. The total volume of shares exchanged through this period comes to 11,444,908 while the daily average number of shares exchanged is 25,603,270. The stock 52 week high is 798.6 amounting to 146.4 points difference from the previous days close and putting the 52 week low at 650.56 making a difference of 1.6400000000001 points. HSBC Holdings plc now has a 20 SMA at 682.11 and the 50 day simple moving average now at 705.25. This puts the market cap at £129,801.42m at the time of this report. The currency for this stock is Great British pence.Market cap is measured in GBP. This article was written with the last trade for HSBC Holdings plc being recorded at Thursday, September 13, 2018 at 12:23:31 PM GMT with the stock price trading at 659.3 GBX. 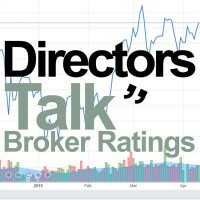 The stock price for Micro Focus International plc found using EPIC: LON:MCRO has climbed 1.31% or 17 points during today’s session so far. Investors are a positive bunch during the trading session. The period high has peaked at 1320 and a low of 1295. Volume total for shares traded during this period was 391,506 with the daily average traded share volume around 1,863,650. The 52 week high for the share price is 2970.5 equating to 1668 points different to the previous business close and a 52 week low sitting at 782.2 is a variance of 520.3 points. Micro Focus International plc now has a 20 SMA of 1301.68 and a 50 day moving average at 1283.03. The current market cap is £5,716.18m at the time of this report. The currency for this stock is GBX. Market cap is measured in GBP. This article was written with the last trade for Micro Focus International plc being recorded at Thursday, September 13, 2018 at 12:22:02 PM GMT with the stock price trading at 1319.5 GBX. Click HSBA MCRO MSYS for the full archive.